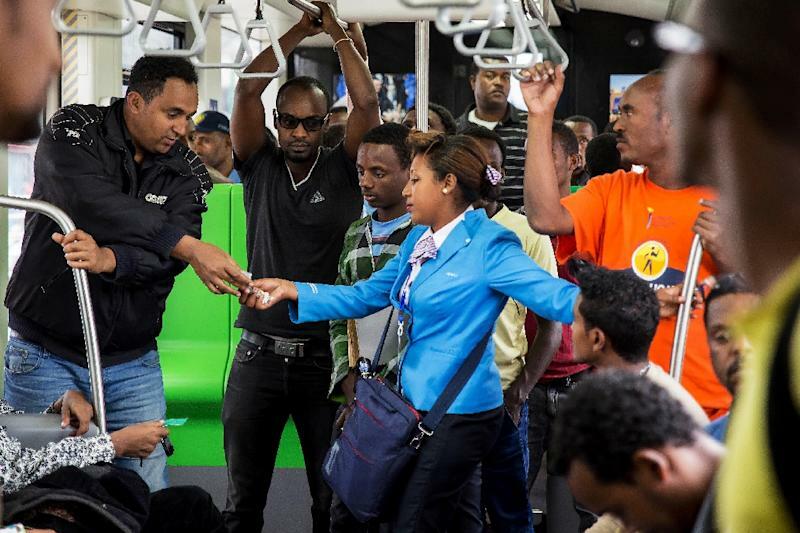 Addis Ababa (AFP) - Sub-Saharan Africa's first modern tramway opened in the Ethiopian capital on Sunday, marking the completion of a massive Chinese-funded infrastructure project hailed as a major step in the country's economic development. Even before the ribbon was cut, several hundred residents were queueing for a ride on the Chinese-driven trams, which have the capacity to carry 60,000 passengers a day across the capital of Africa's second most populous nation. The two line, 34-kilometre (21 mile) system was built by the China Railway Engineering Corporation (CREC) . The project cost $475 million, 85 percent of which has been covered by China's Exim bank. "I'm very excited and very proud as an Ethiopian. We have been waiting for this for a long time. It will curb the transportation shortage," said Dereje Daba, who had waited for two hours to become one of the first passengers on the new line. Currently working in a café in the city centre, he said the tram would cut his daily commute from one hour to just 20 minutes. So far only the north-south line is open, with the east-west line due to open next month. The tramway is designed to relieve the mounting strain on the city's roads, where up to now public transport for the five million and growing population has consisted of aged buses and so-called "blue donkeys" -- a network of cramped, polluting minibuses. "I have had many problems with the blue donkeys, with the long lines and the fights to get a seat. I hope this will no longer be a problem," said Tigist Dekele, a young woman who lives in the city. Ticket prices have also been set at the low, accessible rate of no more than $0.30. 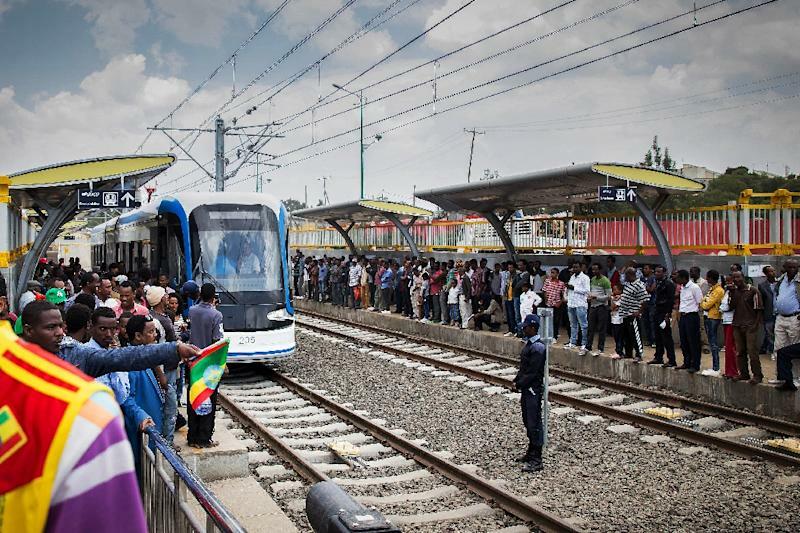 The light rail has been hailed as a milestone in fast-growing but impoverished Ethiopia's development, and part of a cluster of major infrastructure projects -- most of them also Chinese-funded -- that include railway lines, motorways and dams. The project is also a symbol of China's continued strong economic presence on the commodity-rich African continent. Beijing even built the $200 million African Union headquarters in Addis Ababa in 2012 as a gift expressing "friendship to the African people." Ethiopia's transport minister, Workneh Gebeyehu, said the tramway project would also boost Ethiopia's bid to make the city -- already the seat of the African Union -- the undisputed continental hub. "This is a sign of modernity. This is a very modern train that will serve the capital city of Africa. We are very proud of that," he said. "The light rail is not for commercial purposes. Tickets are very cheap. It will serve the people with low income." Authorities have also promised the scheme will not be beset by power cuts, with a separate power grid set up to feed the lines.